1. Soak almonds in warm water for 30 minutes. 2. Remove skin and grind to a thick paste with little water. 3. In a heavy pan add sugar and little water. 4. Heat till sugar is dissolved. 5. Pour boiled thick milk to this and cook in medium flame stirring inbetween till it has a thick batter like consistency. 6. Add ground almonds, coconut extract and continue cooking, stirring constantly, till it becomes thick. 7. Add the vanilla essence. 8. Remove from heat and spread over a greased plate. 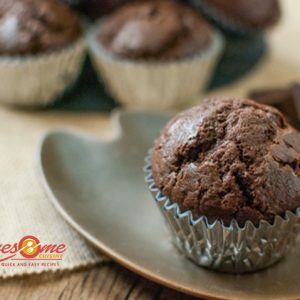 Feel free to comment or share your thoughts on this Badam Chocolate Recipe from Awesome Cuisine.